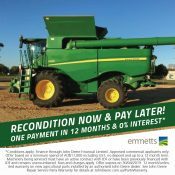 Whatever farming or machinery requirements you have, speak to your closest Emmetts branch about the John Deere tractor series. Power, performance, efficiency and the latest technology. 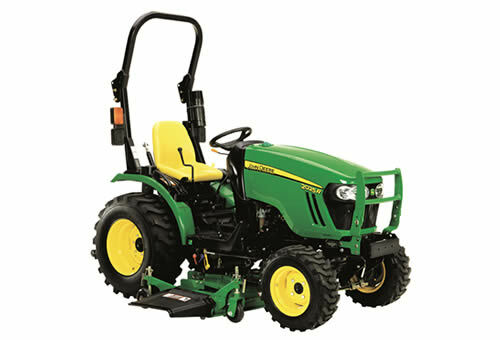 The Value-Spec 23 horsepower 1023E meets all of the basic needs around your property. 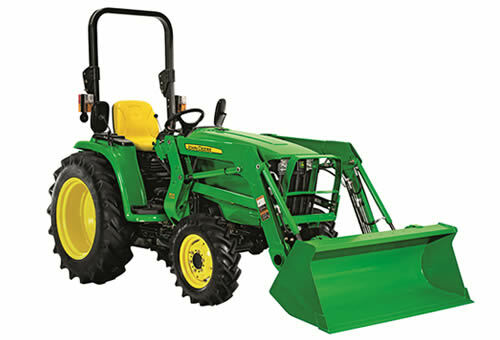 Or choose the 1025R for a premium, comfortable workhorse for your small acreage. 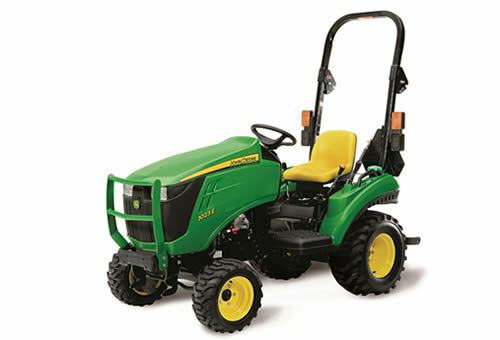 Ranging from 24 to 36 horsepower, these comfortable compact tractors feature a drive-over mower deck, foldable Roll over protection and standard four-wheel drive. 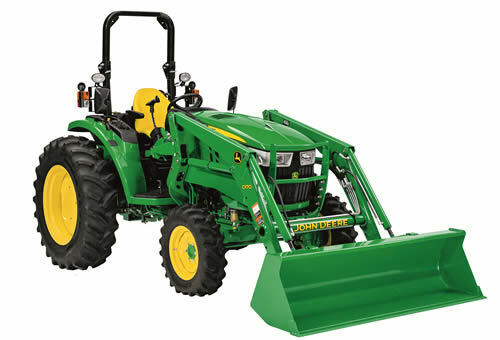 The 36 horsepower value-spec 3036E tractors are ready to tackle jobs. 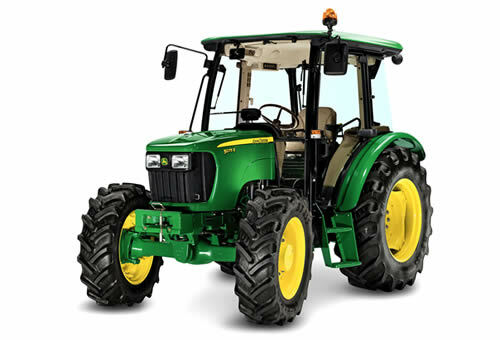 The 3R Series is where premium meets capability. 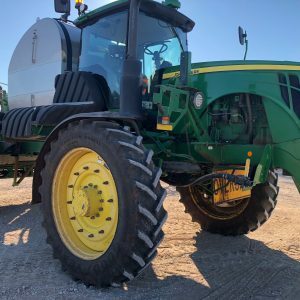 The 5E Series (55 to 93 hp), mid-spec 5M Series (85 to 115 hp), premium 5R Series (90 to 125 hp), and powerful 6 Family (105 to 135) are built to get the job done. 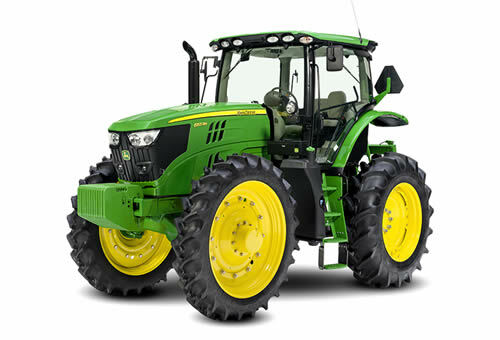 Includes hi-crop tractors with over 594 mm of front axle space, low profile tractors, and the super-narrow 5GV Series (75 to 85 hp) and 5GN Series (75 to 100 hp). 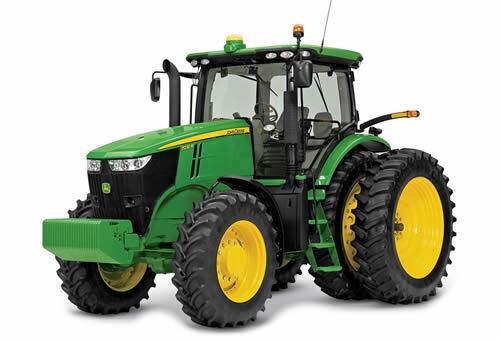 The 6-Series (140 to 210 hp), the 7R Series, (210 to 310 hp) and the 8R8RT Series (245 to 400 hp) tractors deliver uncompromised performance. 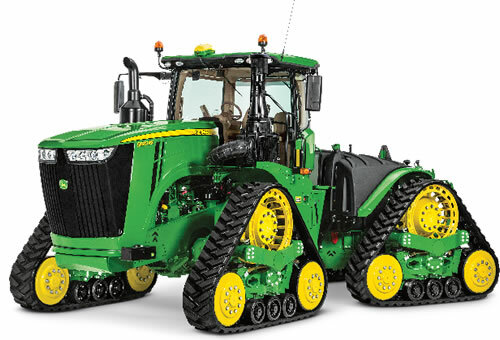 Meet the 9R, 9RT and the 9RX Series tractors (370 to 620hp). Whether your operation calls for tyres, two tracks or four, the 9 Family has you covered.